Black Hawk Grain Free Wet Dog Beef 12x100g Black Hawk canned food is formulated to meet the AAFCO standards for adult maintenance. Our canned food can be used as a complete meal on its own or added to our dry food to complement your pets meal. Ingredients Beef, Chicken, Natural Gums, Vitamins and Minerals, Prebiotics, Emu Oil. Typical Analysis The table below is based on "as fed" measures. Crude Protein 9% ..
Black Hawk Grain Free Wet Dog Beef 12x400g Black Hawk canned food is formulated to meet the AAFCO standards for adult maintenance. Our canned food can be used as a complete meal on its own or added to our dry food to complement your pets meal. 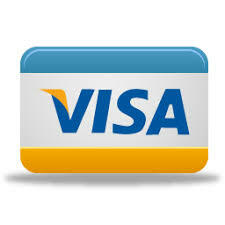 Ingredients Beef, Chicken, Natural Gums, Vitamins and Minerals, Prebiotics, Emu Oil. Typical Analysis The table below is based on "as fed" measures. Crude Protein 9% ..
Black Hawk Grain Free Wet Dog Chicken 12x100g Black Hawk canned food is formulated to meet the AAFCO standards for adult maintenance. Our canned food can be used as a complete meal on its own or added to our dry food to complement your pets meal. Ingredients Chicken, Lamb, Carrots, Peas, Potato, Gelling Agents, Flavours Vitamins and Minerals (Choline Chloride, Vitamin E, Pantothenic Acid, Vitamin B1, Vitamin B2, Vitamin B6, Biotin, Vitamin D3, Fol..
Black Hawk Grain Free Wet Dog Chicken 12x400g Black Hawk canned food is formulated to meet the AAFCO standards for adult maintenance. Our canned food can be used as a complete meal on its own or added to our dry food to complement your pets meal. Ingredients Chicken, Lamb, Carrots, Peas, Potato, Gelling Agents, Flavours Vitamins and Minerals (Choline Chloride, Vitamin E, Pantothenic Acid, Vitamin B1, Vitamin B2, Vitamin B6, Biotin, Vitamin D3, Fol..
Black Hawk Grain Free Wet Dog Lamb 12x100g Black Hawk canned food is formulated to meet the AAFCO standards for adult maintenance. Our canned food can be used as a complete meal on its own or added to our dry food to complement your pets meal. 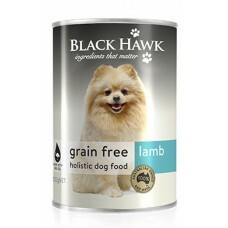 Ingredients Lamb, Chicken, Carrots, Peas, Potato, Gelling Agents, Flavours including Rosemary, Vitamins and Minerals (Choline Chloride, Vitamin E, Pantothenic Acid, Vitamin B1, Vitamin B2, Vitamin B6, Biotin..
Black Hawk Grain Free Wet Dog Lamb 12x400g Black Hawk canned food is formulated to meet the AAFCO standards for adult maintenance. Our canned food can be used as a complete meal on its own or added to our dry food to complement your pets meal. Ingredients Lamb, Chicken, Carrots, Peas, Potato, Gelling Agents, Flavours including Rosemary, Vitamins and Minerals (Choline Chloride, Vitamin E, Pantothenic Acid, Vitamin B1, Vitamin B2, Vitamin B6, Biotin..